Add a touch of elegance and exclusivity to your Bridge games with a pack of 50 personalised score cards, for Chicago or Rubber Bridge. Simply choose from gold, silver or black foil and write your message and we will hand stamp every top-quality card in the pack with your own special wording. 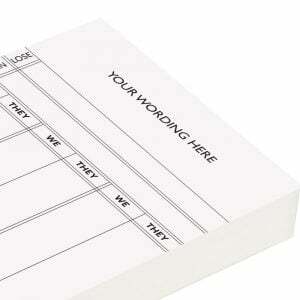 We also sell the cards blank so you can customise each card in the pack as you use them.